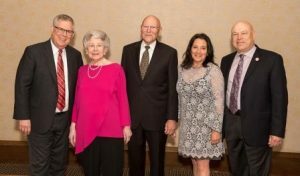 Both Dolores and Steve are WUPJ Life Trustees who have dedicated years toward growing Reform Judaism in North America and the Former Soviet Union, and toward local civic causes. Dolores has been instrumental in strengthening the Shaarei Shalom in St. Petersburg; and Steve and his wife Sandy z”l helped build the Reform community in Minsk. Dolores is also a Past President of the Women of Reform Judaism (WRJ); and Steve of Men of Reform Judaism (MRJ). The celebratory and dignified event was chaired by Linda and Richard Zoll of Houston. Keynote speaker, Rabbi David Stern, Senior Rabbi from Temple Emanu-El of Dallas, Texas, and President of the Central Conference of American Rabbis (CCAR) added this to his moving speech. Read it in full here. So now it’s my job to do what the World Union urges and inspires us to do every day – to pivot from the local to the global – from a Jewish community I know to one I can yet discover – from one side of the Rio Grande to another, from one side of the Atlantic to another, from one side of the world to another. To expand our vision beyond the legitimately pressing concerns of our own local communities and to take into our awareness and into our hearts Progressive Jewish communities on almost every continent in the world. For me to peek in on a youth group meeting at my synagogue in Dallas and realize that through Netzer Olami, the World Union has created summer and winter camps, Progressive Jewish youth groups and youth activities reaching 16,000 kids around the world. To view the Digital Ad Journal on YouTube click here. 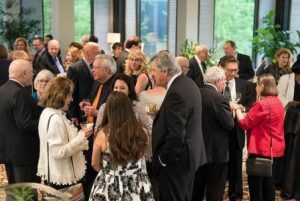 Click here to view online photos from the event. All photos (c) courtesy of Dale Lazar. 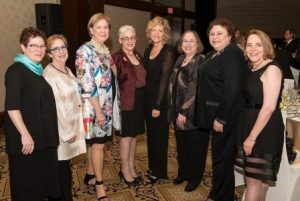 Please fill out this form to share "The World Union for Progressive Judaism Honors Long-Serving Leaders at Gala Houston Event" via e-mail.